The performing range of comedienne and actress Jo Anne Worley (b. Lowell, IN, 6 September 1937) covers television, film, live theater, game shows, talk shows, commercials, cartoons, and video games. She is especially remembered for her work on Rowan & Martin’s Laugh-In, the classic sketch comedy TV program, which ran for 140 episodes from 1968 to1973. Jo Anne was the third of five children (she acquired four more half-siblings when her father remarried in 1962), and noted from her earliest years for her remarkably loud voice. So loud, in fact, that as a child she always mouthed the words of the hymns in church for fear of drawing attention to herself or drowning out everyone else. She was dubbed School Comedienne for all four years of high school, graduating in 1955. Directly after graduation, Worley apprenticed with the Pickwick Players in Blauvelt, New York, (paying the fees herself with money she had earned as a truck-stop waitress back in Indiana) and soon won a drama scholarship to Midwestern State University in Wichita Falls, Texas. She remained in Texas only two years, however, and went on to California to work with the Pasadena Playhouse and continue her studies at Los Angeles City College. Her first musical role was in a production of Wonderful Town, and in 1961 she got a major break in a musical revue, Billy Barnes People. This production moved to Broadway with high hopes, but lasted there for only six performances. In 1964 Worley served as Carol Channing’s standby in the original Broadway production of Hello, Dolly!, but had few chances to go on stage as Mrs. Dolly Gallagher Levi, since Channing almost never missed a performance. (Worley later played Dolly in Milwaukee and on the road.) 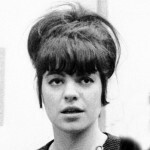 A year later, Jo Anne Worley was performing her own nightclub act in Greenwich Village, where Merv Griffin found her in 1966 and invited her to guest on his show. 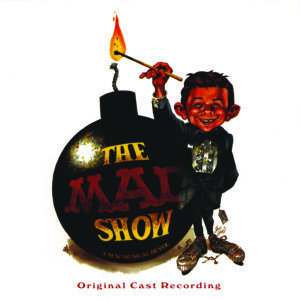 After about forty television appearances with him, she opened Off-Broadway in The Mad Show, a New Musical Revue Based on MAD Magazine. Although The Mad Show ran for a respectable 871 performances, and Worley was recorded on the Original Cast Album for RCA, she soon had to leave the cast for her riotous let-it-all-hang-out stint on Rowan & Martin’s Laugh-In. She left Laugh-In in 1970 to explore other paths, and since then has put together a variegated career consisting of starring appearances on TV variety shows (The Tonight Show with Johnny Carson, The Andy Williams Show), TV series (Hot Dog, Love, American Style, Hawaii Five-O, Murder, She Wrote), game shows (Hollywood Squares, The $10,000 Pyramid, The Match Game), movies (The Shaggy D.A. 1976), national tours of musicals (Mame, The Pirates of Penzance, Annie), regional musical theatre (Once Upon a Mattress, Anything Goes, Hello Dolly!, Annie Get Your Gun, and Gypsy in Milwaukee; Same Time, Next Year in San Diego; Call Me Madam in Pasadena; Nunsense in La Mirada), non-singing theatre (Lovers and Other Strangers, Moon Over Buffalo, Steel Magnolias), voice work for cartoons (Nutcracker Fantasy 1979, the Wardrobe in Disney’s Beauty and the Beast 1991, A Goofy Movie 1995, and Belle’s Magical World 1998), and video games (Kingdom Hearts II 2005). In Hollywood in 1999, Worley was the Wicked Witch of the West in a production of The Wizard of Oz with Mickey Rooney as the Wizard. The production also played the Theater at Madison Square Garden in New York and had a limited US tour. From July through December 2007, Worley played Mrs. Tottendale in the Broadway musical, The Drowsy Chaperone, and from January to August 2008 she was Madame Morrible in the Los Angeles production of Wicked. Worley was married to actor Roger Perry from 1975 to 2000. They had no children. She does, however, have many dogs, and serves on the Board of Directors of Actors and Others for Animals, an organization founded and still mentored by Doris Day. She continues to perform in New York and Los Angeles, and she has sometimes also been active as a lecturer.